The Cover Contessa: Please Welcome Author Cyn Balog! Please Welcome Author Cyn Balog! Today I could not be more excited than to welcome author (and fellow Jersey girl!!!) Cyn Balog to The Cover Contessa for an interview! I had the pleasure of meeting Cyn back in August at YA Fest 2012! This was a totally awesome event and it was so great to finally meet Cyn after all our chatting on Facebook! Cyn Balog is a normal, everyday Jersey Girl who always believed magical things can happen to us when we least expect them. 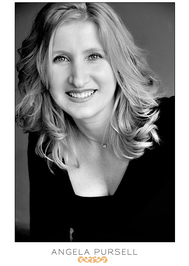 She is author of young adult paranormals FAIRY TALE (2009), SLEEPLESS(2010), and two other forthcoming novels from Delacorte. She lives outside Allentown, Pennsylvania with her husband and daughters. I was 5. I remember learning to read, and just thinking the next logical step after reading a book would be writing one. I didn't realize this was something few people did. It just came very naturally to me. It depends on my schedule, but anywhere from 3 weeks to a few months. I wrote SLEEPLESS in 3 weeks. I was 6 months pregnant, with a toddler and a full-time job. 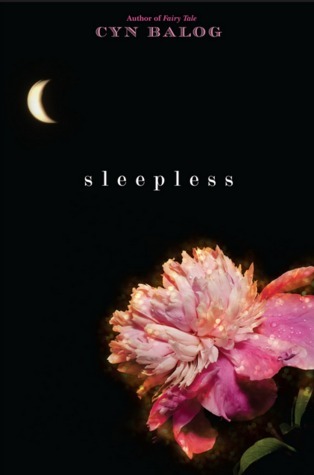 I'd written a draft of SLEEPLESS which my editor completely hated. The deadline was approaching for me to get the book done, so I reminded myself that this was my dream, and I just trashed the first draft completely and cranked out the new version. Um, I wish I knew. All my books start with an amazing hook. That will start a person reading but it won't sustain it unless there are interesting characters and a believable but unpredictable plot. Also, an ending is good. I like books with endings. Nowadays, it's my lunch hour. I work full-time and have 2 young kids. So I make due with that. Time with my kids is important, so when I'm home, I'm with them. My lunch hour at work is when I try to get as much done as possible. Not very well... Haha! Since I do work, when I am with my family, I want to give them my undivided attention! Every three months or so, my husband might take the kids to his parents' for the day, which will give me a day of uninterrupted writing time. But most of the time, I really rely on that lunch hour! From all over the place! I tell everyone looking for ideas that they most often hit in one of the 4 B's : Bed, Bath (getting ready for the day), Bus (commute), or Beer. Most of my ideas hit me during these times! I know I got the idea for Fairy Tale while lying in bed, and the idea for Sleepless came during Bus... my commute home from work. I did get part of the idea for Starstruck while watching the news, and TOUCHED I got while browsing Wikipedia. The most important thing one can learn as a writer is to be open to ideas and to recognize when one will make a good story... because there are so many of them out there, hitting us every day, and in every way. I have yet to come up with any ideas while drinking. Mostly I just get a headache and want to go to bed. Probably that it isn't impossible to get published. This was something I was told from a very early age. Everyone said, you might as well aspire to be the President of the United States. I was encouraged to go into a "marketable" field so I majored in Communications and Public Relations instead of writing. But once I actually sat down and said, "I'm going to try this, and if I fail, I fail," it was surprisingly not so difficult. I think I was inspired by the Wayne Gretzky quote, "You miss 100% of the shots you don't take." I've written dozens. I have probably a million starts to novels on my computer. My favorite is probably Starstruck, because the main character is so like me. She's obsessive over her appearance, which I always was as a teen. I know lots of teens obsess over their appearance, but both Dough and I were so concerned with it that it was ALL we ever thought about. My main characters have some of my characteristics, definitely. Eron from Sleepless is what I thought my grandfather was like as a teenager. Sometimes I steal a few characteristics from people I know, but I don't ever put an entire real person in my novels. I would love to write at a beach house. I used to do that, growing up, and something about the sea air... aaaah! Unfortunately right now I am relegated to a tiny, dark corner of my house. Like I said above, it isn't impossible. It isn't easy, either. There's a lot of research that goes into it, but if you love the business like I do, it doesn't feel like work. I've gotten inquiries from friends and family members who want to be published, and 9 times out of 10, once I point them in the direction of a website they should visit to learn more about the publishing process, they lose interest and try to find something easier to do. It's a process. It's not going to happen overnight. But if you're truly passionate about it, it's not work. I enjoyed researching agents and publishing houses and sending out little bits of hope in the mail. Sure, rejection can be hard, but the thrill of knowing an acceptance could be right around the corner was always there. I really do believe publishing is not reserved for only a select few-- it can happen to anyone. As long as they keep working at it, refining their story, and don't give up. Honestly, I don't think a lot of my family "get" it. They're readers, but not big into YA books. It's not like they think of me as a YA writer. To them, I'm just me, and we rarely talk about my books or my writing career. A lot of them do read my books, though. My husband definitely reads all my books, even though he's NOT exactly my target audience, and he keeps wondering why more people haven't noticed my brilliance and thrown large sums of money at me (he's my biggest fan!). I can also tell that my dad is really proud of me, because he introduces me to people as "Cyn Balog, the author" really loud. So cute. Um. Read. Obsess over my children. Tip one is to never give up. Tip two is to never give up. Tip three, that, also. Really, I've seen so many authors in this business who have made it. Some, it takes a little longer than others. But the one main thing they share is that even when the going got rough and they were faced with a bazillion rejections, they still soldiered through. One thing about this business is that there are a lot of things that can tear you down. I'm still working on learning the art of soldiering through, putting the blinders on and just writing. There is so much noise out there, wanting to stop you from it. But put the blinders on, and just write. A novelist! Imagine that! 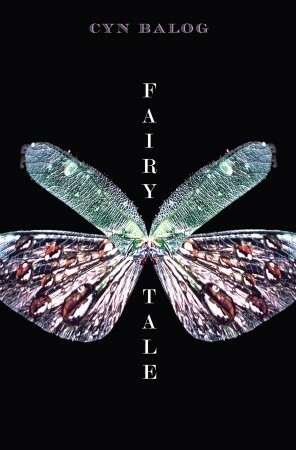 So you can understand that when I finally got the call that Fairy Tale was going to be published, I sobbed like a baby. It was the realization of a lifelong dream. I love dystopian books! So The Stand has always been one of my favorite novels. 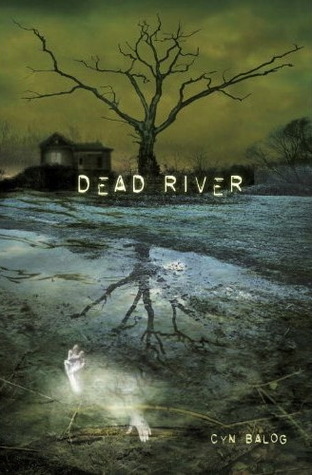 I love horror, too, so because YA was nearly nonexistent when I was a YA, all I did was read Stephen King. I am really loving the dystopian trend these days-- especially zombies. Zombies rule. I am bouncing between 4 or 5 different ideas-- I don't love any of them, yet. I hope one of them will jump out at me and say, "Write me!" I usually have to tinker with first chapters for a bit before I know whether an idea can become an actual book. 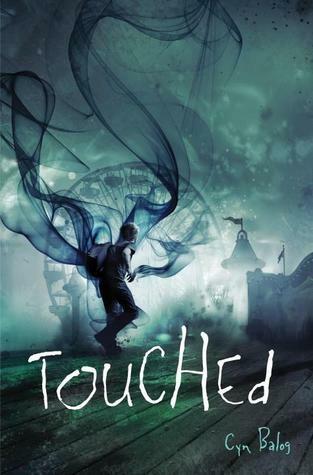 Your newest book, Touched, is days away from publication, what can you tell us about that book? What are some fun or quirky things about you that your readers don't know, and you're not afraid to share? I was born on Friday the 13th. I am obsessed with Hercule Poirot mysteries. I play the clarinet very badly. I am obsessed with everything Disney. YA Fest...Is this your first signing/discussion group you've help coordinate? How hard was it to get authors to appear? What was your favorite part of the day? Do you think this will become a yearly event? I do think it will become an annual event! It went really well. It was the first time I helped coordinate an event (as I am SO disorganized), but luckily, most of the work was handled by others, and I just coordinated some of the publicity and getting authors on board. Surprisingly, it was very easy to get authors to come, so much so that we ended up turning away authors because we didn't have enough space at the venue. The place was packed-- hooray! But the most awesome part about it was meeting some bloggers and readers that I'd only corresponded with online! I love meeting readers-- everyone is so nice!!! Thank you so much for having me!! It was a pleasure to be here! Thanks so much for visiting The Cover Contessa today! It was great having you here!